There is nothing worse than having an air conditioner fail during a hot summer day. You and your family cannot enjoy your home to the utmost. Even worse, temperatures can rise to an extent where it is unsafe for your loved ones. 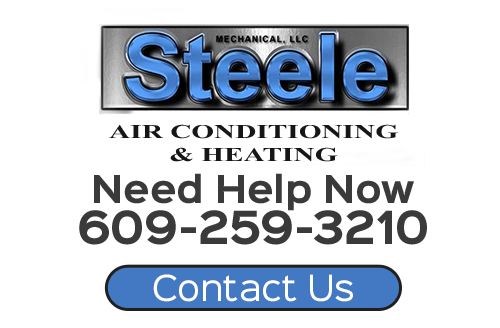 At Steele Mechanical, LLC Air Conditioning and Heating, our New Jersey emergency AC service team is here to assist you in your time of need. With over 25 years of experience in the HVAC industry, our air conditioning company has encountered just about everything that can go wrong with a home comfort system. We can troubleshoot your broken down air conditioner in order to determine the precise problem. Our experts can then repair it in the quickest time period possible. If your air conditioner has completely broken down, call Steele Mechanical, LLC Air Conditioning and Heating today. Our New Jersey emergency AC service providers will respond to your call immediately. We can be on site fixing your problem today. Call us now for prompt air conditioner repairs. When you hire our professionals for your emergency repair needs, you can rest assured knowing that you chose the best team for the job. Each of our team members is professionally trained and exceptionally experienced. More importantly, we take an immense amount of pride from our work. During your emergency AC service, our main goal will be to restore comfort to your home in the quickest time frame possible. We will work tirelessly for you until our task is done. Afterwards, you and your family will once again be able to fully enjoy the cool comfort that your air conditioner is supposed to provide. In every service that we provide, our main goal is to achieve all of the specific needs and desires of our customers. Obviously, when your air conditioner is malfunctioning, the first thing you want to accomplish is fixing the primary problem. Our emergency AC repair technicians make this our first priority. 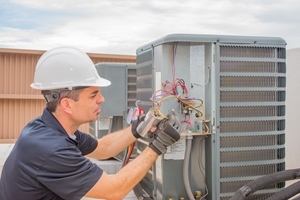 However, in our haste to restore your air conditioner to full operation, we do not sacrifice the quality of our air conditioning services in New Jersey. In the end, our team wants your air conditioner to perform in the most efficient, effective, and reliable fashion. After we have fixed the primary problem, our New Jersey air conditioning repair experts will inspect your entire HVAC system. We will resolve any other problems that we find. Afterwards, you can rest assured knowing that your AC unit is in the best condition possible. If you need emergency AC service in New Jersey, please call 609-259-3210 for an immediate response or complete our online request form.